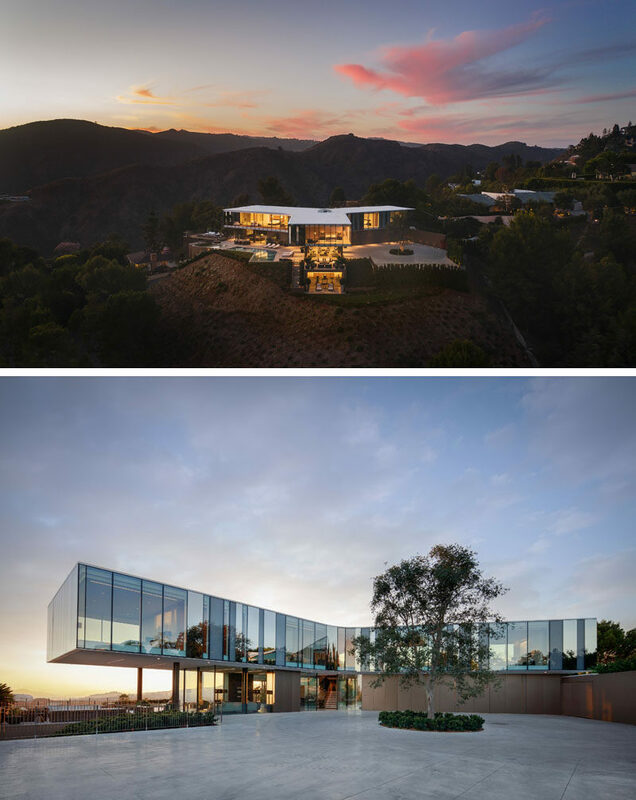 SPF:architects (SPF:a) have recently completed the Orum Residence, a three-level home in Bel-Air, California, that takes on the shape of a three-winged propeller, and is wrapped in glass that mirrors its sweeping views of the Los Angeles basin. 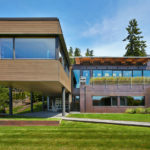 When approaching the house, there’s a large driveway with a central tree, and adjacent to the driveway, is an outdoor lounge that sits below a cantilevered section of the top floor of the home that houses a bedroom. 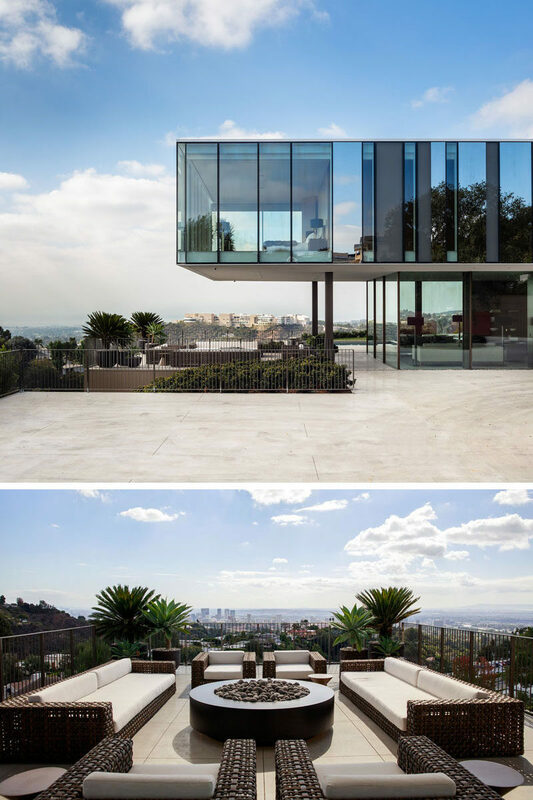 The house has an expansive outdoor area that’s ideal for entertaining, and includes a kitchen, two fire pits, and an LED-lit pool, as well as uninterrupted views of Los Angeles in the distance. 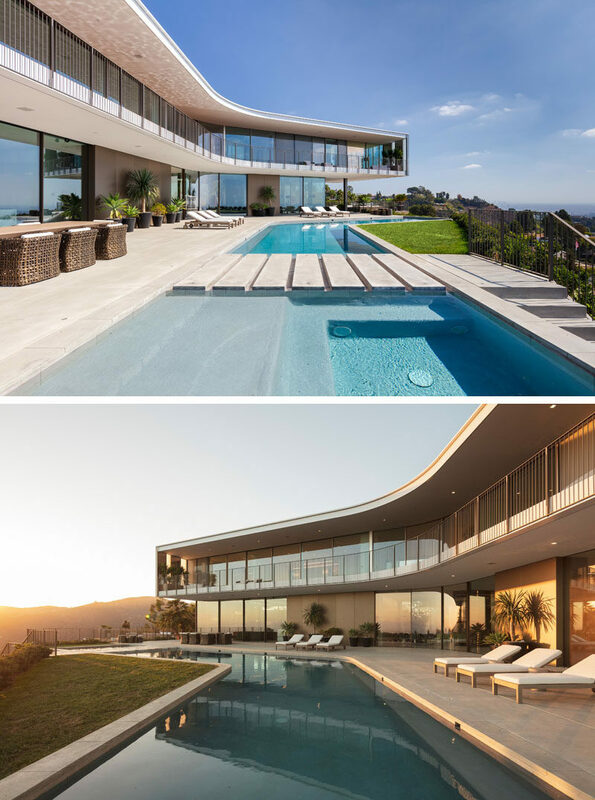 Inside the home, a neutral color palette has been used to make the views the focus. 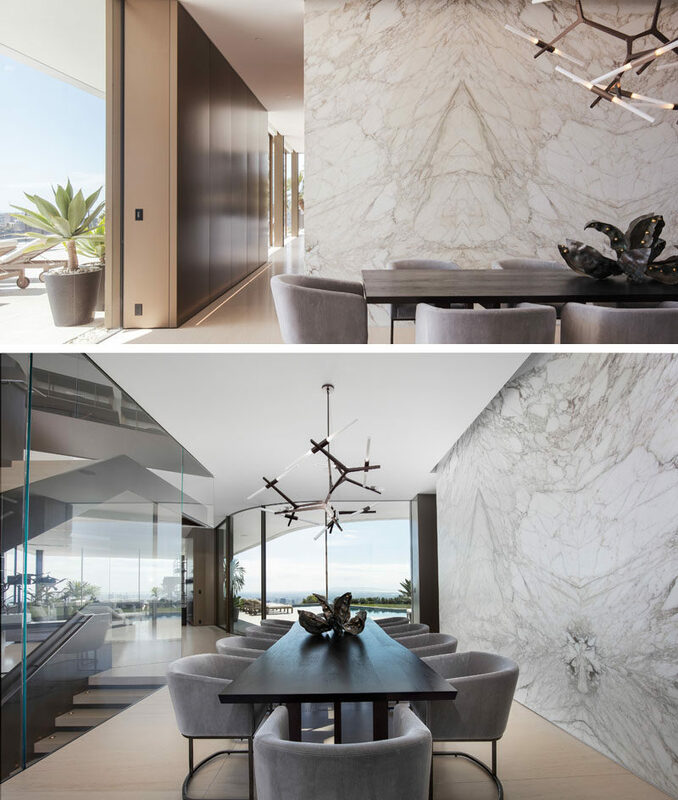 In the dining room, a stone wall adds a natural touch to the interior, while a minimalist sculptural light hangs above the dining table. 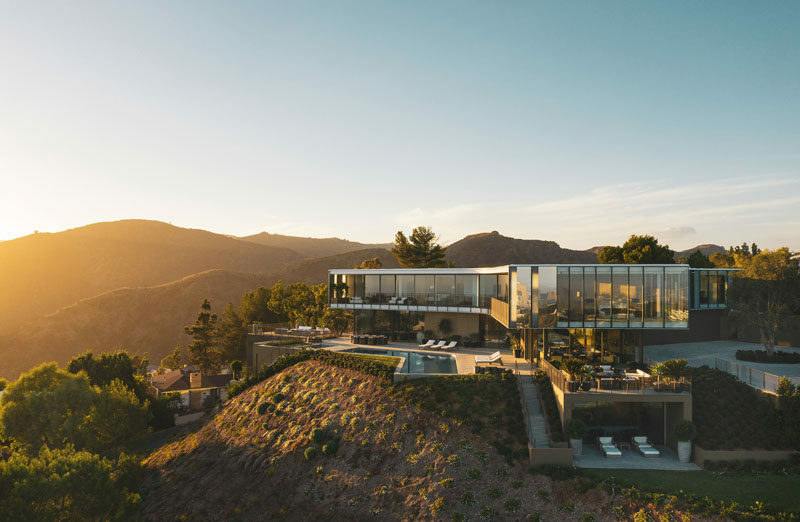 Central to the home is a large, sculptural glass and steel staircase, that connects the basement level with a home theater, gym, spa, cedar sauna, service kitchen, and a wine room, to the bedrooms on the upper level of the house. 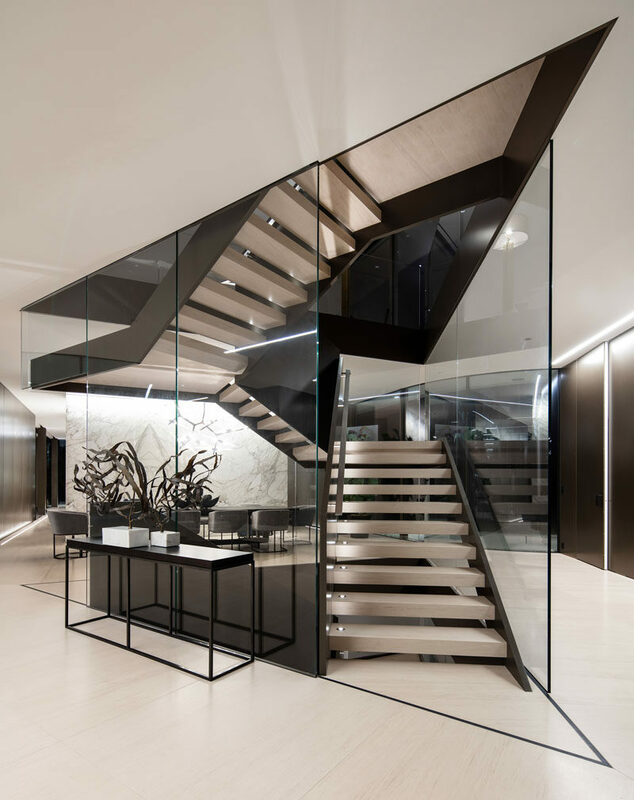 At the top of the stairs is a glass enclosed home office that uses shelving as a backdrop for the desk. 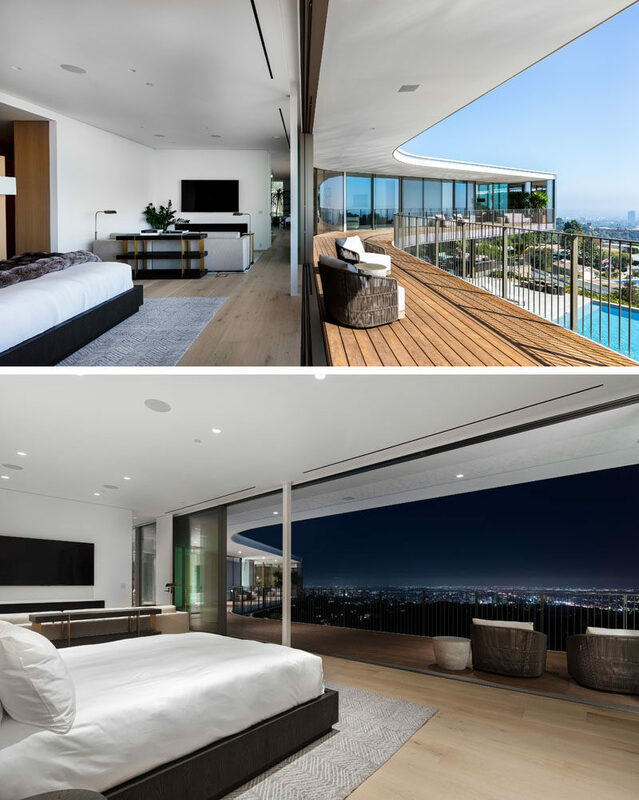 This master suite, with a private lounge area, has sliding doors that open up to the wrap-around balcony that provides 270-degree views of the city and ocean, and the outdoor spaces below.